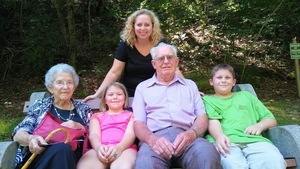 Provide comfort for the family of Edith Mae London with a meaningful gesture of sympathy. Edith Mae Ivester London, age 87 of Mt. Airy, went home to be with the Lord on Tuesday, March 26, 2019. Born in Turnerville, Georgia, on December 9, 1931 to the late William Austin Ivester and Bertha Ivester. Mrs. London was a self-employed entrepreneur. She enjoyed feeding her family and the church and was well known for her biscuits and gravy. Mrs. London lived in the Atlanta area for a number of years before moving back to Habersham 14 years ago. 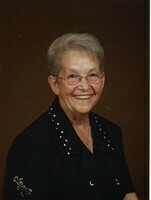 She was a member of Life Church in Baldwin. In addition to her parents, she was preceded in death by her son, Alvin Jay London; daughter, Rhonda Kay London Street. Surviving are her husband of 62 years, Marvin Aubry London of Mt. Airy; son, Donnie Aubry London of Villa Rica; niece whom Mrs. London raised, Rebecca Alice Hopkins; daughter-in-law, Kathleen London Cheek of Newnan; 9 grandchildren; 11 great-grandchildren; 2 step grandchildren; numerous other step grandchildren; brother, Wilmer Austin Ivester of Toccoa; sister, Mattie Lou Walker of Mt. Airy; several nieces, nephews, other relatives and friends. Funeral services are scheduled for 11 am, Friday, March 29, 2019 in the Chapel of McGahee-Griffin and Stewart with Rev. Troy Shaw officiating. Interment will follow in Stephens Memorial Gardens. The family will receive friends from 4-7 pm on Thursday at the funeral home. 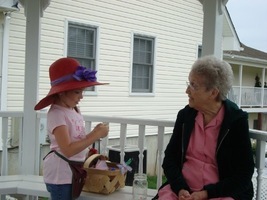 To send flowers in memory of Edith Mae Ivester London, please visit our Heartfelt Sympathies Store. 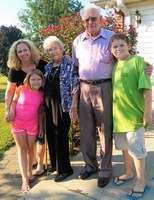 Consider providing a gift of comfort for the family of Edith Mae London by sending flowers. We encourage you to share your most beloved memories of Edith Mae here, so that the family and other loved ones can always see it. You can upload cherished photographs, or share your favorite stories, and can even comment on those shared by others. Provide comfort for the family of Edith Mae Ivester London by sending flowers.